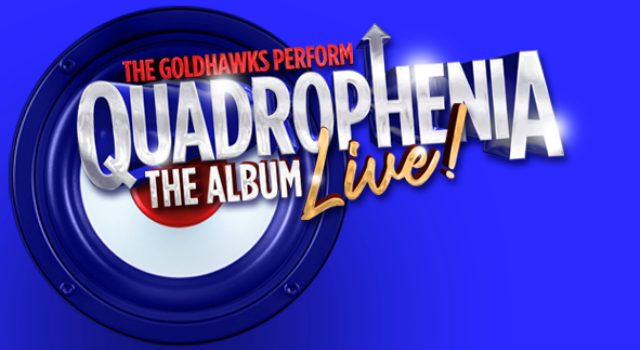 Quadrophenia – the album, Live! – pays tribute to the emotive music of The Who, the biggest-selling and most powerful band in the world for decades. Produced specifically for the theatre stage and appealing to all generations, it is a storming show (literally!) with full-on sound effects as used on the original album and state-of-the-art lighting to enhance the performance. The world-class, seven-piece band, fronted by Doug Freeman who is widely regarded as the world’s greatest ever live tribute to Roger Daltrey, faithfully recreates the power, tension and visceral emotion of the music backed by a large screen showing bespoke film, archive footage and visual effects throughout the show. This show captures a tremendous piece of Mod musical history for all ages to experience today and a chance for all who were or are still part of the phenomenal Mod movement to relive its glory. But don’t be mistaken, it’s also about the angst of growing up in this day and age. Just goes to show – nothing really changes!